A new Brooklyn community farm/garden, christened "Windsor Farm," broke ground Sunday, April 28 in Windsor Terrace. I went to lend my support, help out for a bit, and check out the scene. It's a challenging site, even for an urban garden. The aerial photography of Google Maps revealed that the site is completely covered by trees. It didn't show that the property spans a steep slope. Whatever this slope is, believe me, when you're on the side of it using edge tools to cut through the brambles, it feels a lot steeper! ... and a few others I'm forgetting at the moment. 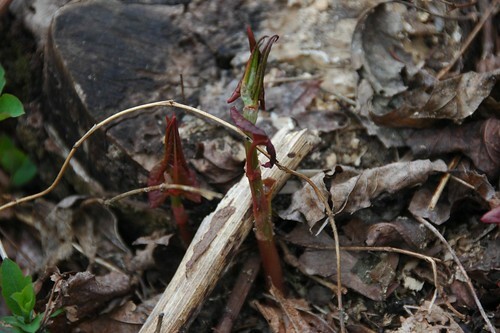 I don't know what annual species the seasons will reveal. Fallopia japonica, Japanese Knotweed, at Windsor Farm. These stalks, 3-6" high now, will grow to 8-9' tall by the end of the summer, and produce thousands of seeds. Campus Road Garden's Last Stand? 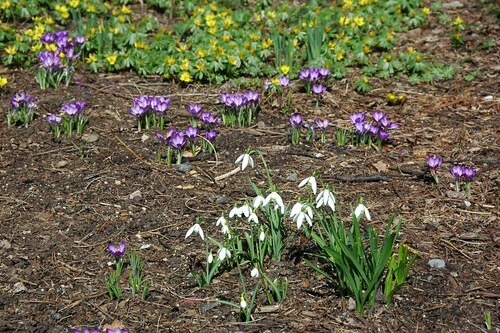 The Campus Road Garden is holding a press conference tomorrow, March 25, at 12 noon. Yesterday they discovered the site had been flagged for demolition. They have invited Brooklyn College Administration to attend tomorrow's conference. 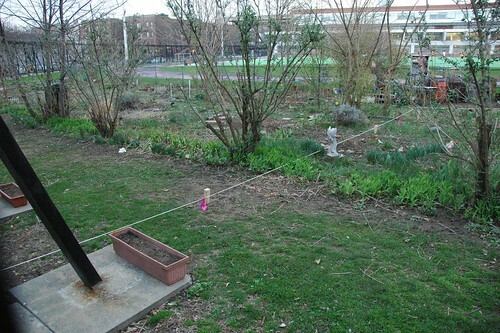 The morning after many students, faculty and community members had taken part in a spring celebration and planting party at the Campus Road Community Garden, they discovered that Brooklyn College had planted stakes and twine demarcating its planned demolition of 3/4 of the existing garden, to be replaced by parking for 20 cars. The stakes make clear that under the college’s current plan, most of the trees and all of the common area of the 14-year-old garden would be destroyed. 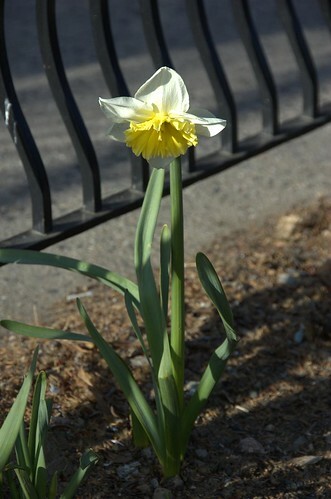 While the Daffodil was surprising, the others are all early bloomers. I'm just not used to seeing them all blooming at the same time. 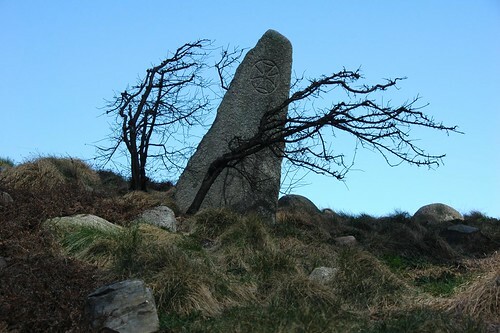 Yesterday, with the first good weather of the year, I visited the Irish Hunger Memorial in downtown Manhattan, two blocks from Ground Zero. I've been there before. It definitely had a wintery, wind-swept feel to it this visit. This year, I want to visit it a couple times during the seasons. Some of the surrounding buildings are new, even in the past few years, since my first visit. The juxtaposition of modern, even stark, architecture with rustic elements is striking. Here are my photos from that visit. The daffodils are pushing up along Cortelyou Road and they would be so much prettier if they don't bloom in the midst of garbage! 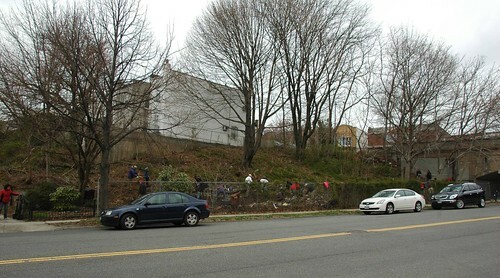 Join Sustainable Flatbush and your neighbors from the Beverley Square West Association to help clean up the tree beds. Where: Meet up at 10am in front of the Library, near the Greenmarket tent, at the corner of Argyle and Cortelyou Roads. If you miss the meet-up, look for us along Cortelyou Road between Coney Island Avenue and East 16th Street. Bring gloves and rakes if you have them; we will also have some to share. Children are welcome to join us! 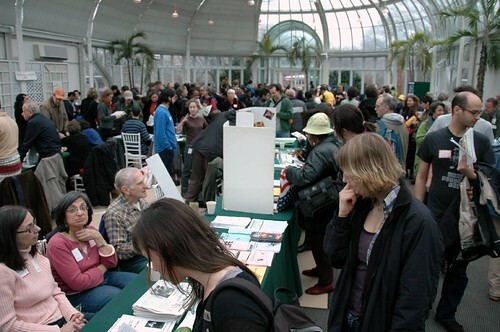 I'm hoping to attend the 29th annual Making Brooklyn Bloom at the Brooklyn Botanic Garden this Saturday. The theme of healthy soils, communities and cities is of interest to me. The urban gardening community will kick off the spring gardening season at Brooklyn Botanic Garden (BBG) with the 29th annual Making Brooklyn Bloom, a daylong conference on how to green up the borough, presented by GreenBridge, the community environmental horticulture program at Brooklyn Botanic Garden. This year’s Making Brooklyn Bloom, “Soil in the City: Growing Healthy Neighborhoods from the Ground Up,” focuses on revitalizing our soil, the foundation of life in the garden. 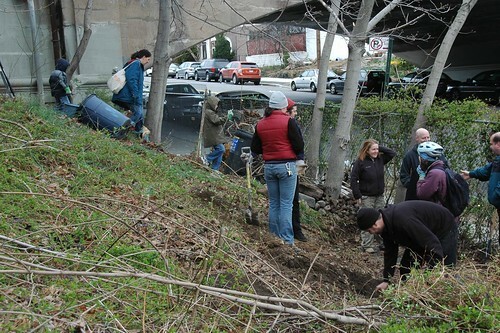 The free event features a keynote address by Dr. Nina Bassuk, director of the Urban Horticulture Institute at Cornell University, developer of Cornell Structural Soil, and author of Trees in the Urban Landscape. Exhibits and workshops on rooftop farming, community composting, and soil testing will be offered—all presented by members of BBG’s horticulture staff or experts from other greening organizations in New York City.